With the weather taking a turn for the better, the desire to eat a little lighter has kicked in. These lettuce cups are a little bit labour intensive – nothing hard, just a lot of vegetable chopping – but they pack a lot of flavour in each bite. The sauce is salty and spicy; the filling is crunchy and satisfying. The recipe is very adaptable: you can make it vegetarian, spicier, milder, switch up the fillings, use tortillas instead of lettuce, etc. You can certainly substitute the pork for turkey, chicken or beef and use whatever vegetables you have in the fridge. 1. Heat 1tb of oil in a large pan or a wok to medium-high heat. Add in the garlic and 2ts of chili paste. Sauté for 1 minute. 2. Add in the pork, onion, peppers and carrots. Break up the pork with a wooden spoon. Cook 5 minutes and then add in the mushrooms and asparagus. Cook 3-4 more minutes until the pork is no longer pink. Allow it to cool a bit. 3. In the meantime, whisk together the remaining oil, chili paste, fish sauce, brown sugar, lime juice & zest in a small bowl. Set aside. 4. Scoop the filling into the lettuce cups, then top with some sauce and garnish with mint. Should you like your food on the spicy side, you can also top with a little more chili paste or hot sauce. To find oneself sitting in a studio on a nearly-empty stomach with Michael Bonacini, Massimo Capra and Jason Parsons is a bit torturous. The smells wafting forth from the stove over the course of 30 minutes are pretty intoxicating. 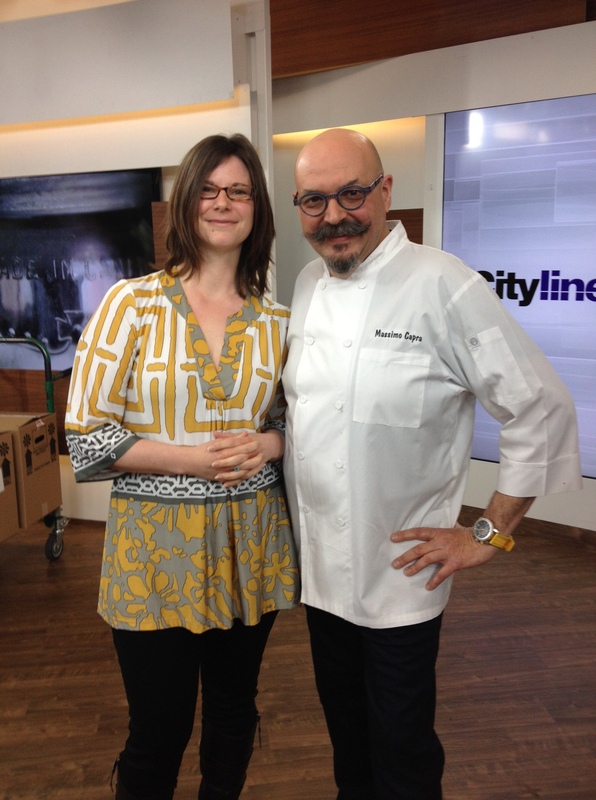 J and I sat through the taping of a Cityline show featuring the three chefs using a variety of fresh herbs, wishing we could sneak up and steal bites off the plates. Chef Bonancini featured rosemary in a beautiful branzino dish; chef Capra made a creative BBQ pork and chive pancake; and chef Parsons used chervil in a light lamb loin dish. 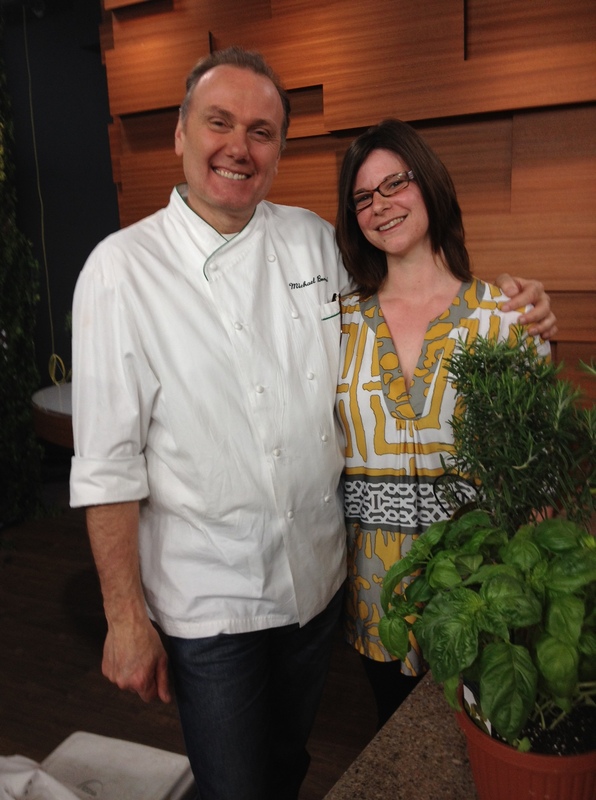 Chef Bonacini and me…just hangin’ with some herbs. 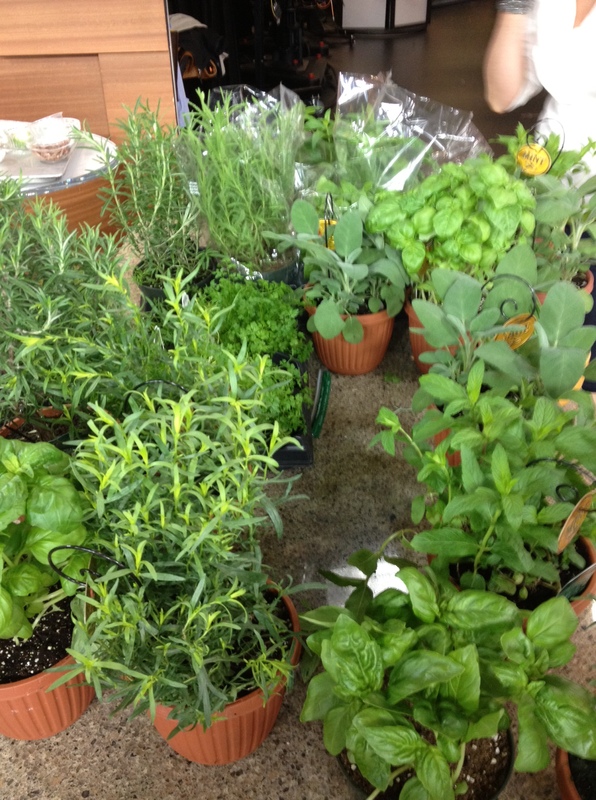 In addition to the plates the chefs put up, the show discussed planting various herbs for use at home. We have sage, thyme and lemon thyme ready to go and a basil plant that has miraculously lived for months on our windowsill (apparently I left my black thumb of death back at our old apartment!). This show got me motivated to get out into my garden – now that I have one – and plant some rosemary, mint and maybe some chives, too! The beautiful array of greenery on display. Now, if you’ll excuse me, I have some planting and cooking to get to.. I finally got around to buying a Dutch oven, something I’ve been promising myself for months. (Yes, I promise myself kitchen toys.) The great thing about Dutch ovens is that they function like a giant cast iron pan: they retain heat beautifully. You can get them nice and hot so you can sear your meat properly, but then you can turn the heat way down and make all sorts of tasty meals in just one pot. I lugged that sucker home and picked up beautiful beef blade roast from a wonderful butcher just a few blocks from the house. 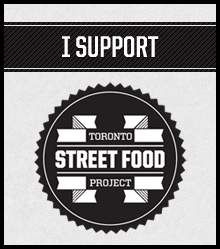 (Royal Beef – check ’em out if you’re in the neighbourhood!) 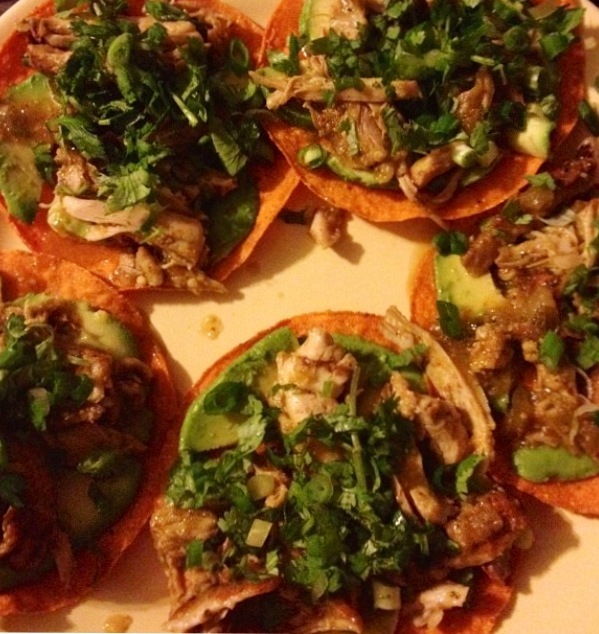 This is a great cut of meat for low-‘n’-slow cooking and so it was perfect for these tacos. I adapted the recipe from Tyler Florence, a foodNURD fave, and it was delicious as usual. We had enough leftover for snacks the next day, always a bonus! 1. Generously salt and pepper all sides of the beef. 2. Heat the olive oil in a Dutch oven (or heavy duty pot with a tight lid) on high. Add in the garlic and sear the beef, getting a nice crust on all sides. 3. Toss in the onions and cook til they’re softened and lightly browned, roughly 3-4 minutes. 4. Add in the tomatoes, 1 can of water, spices and hot sauce. Season with salt and pepper to taste, then add in enough water (again) to cover the beef. 5. 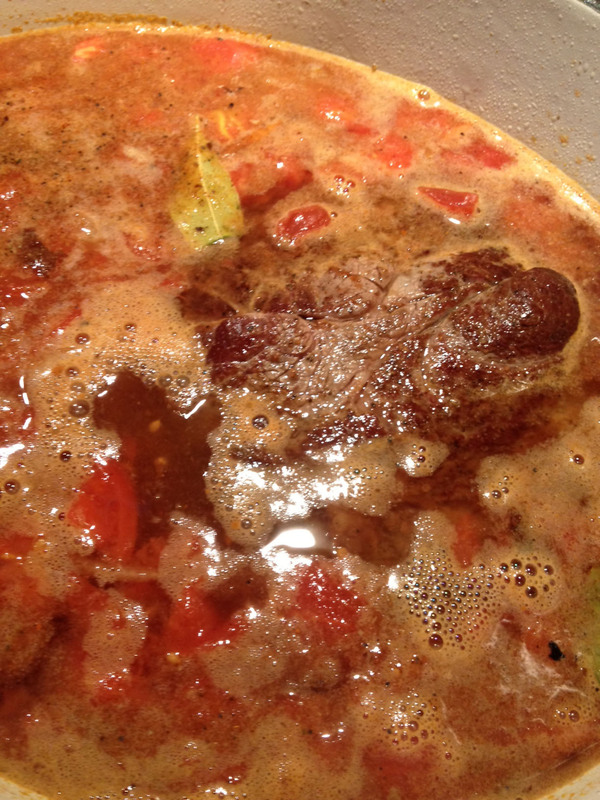 Cover the pot, lower the heat and let simmer for 3-4 hours, until the beef is tender. 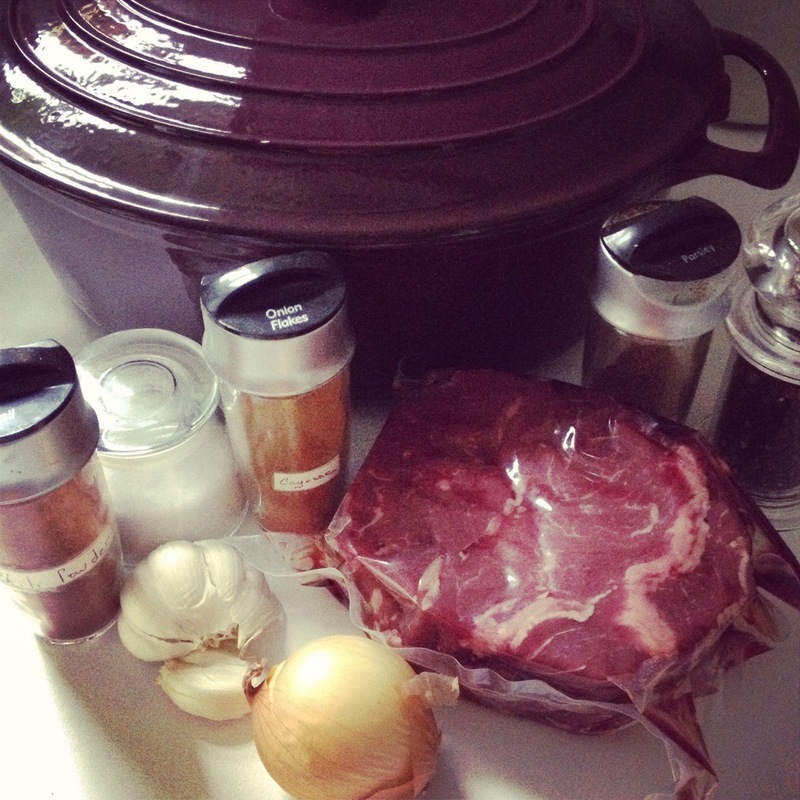 Allow the beef to cool in the liquid. 6. 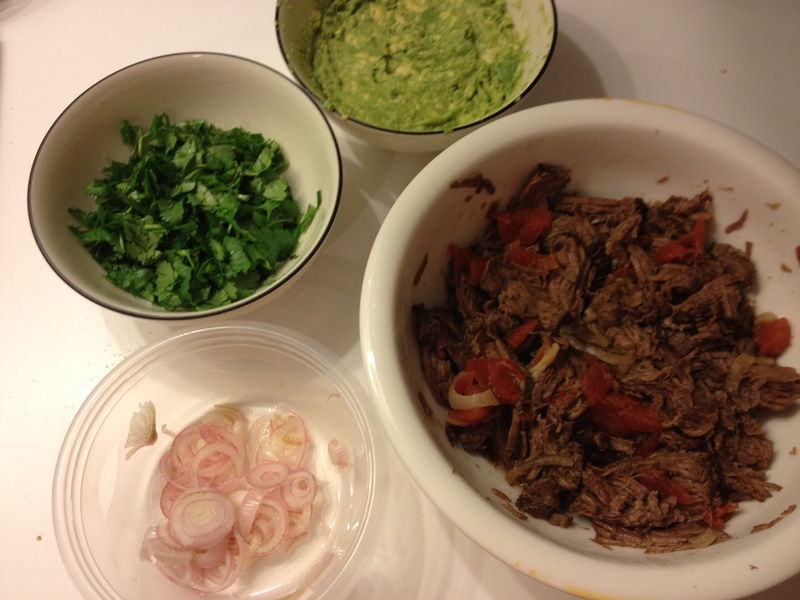 Shred with a fork and serve with warm tortillas, guacamole, cilantro, pickled red onions and salsa.